There’s a great post over at the WeLoveLocalGov blog about the horrors of the average conference. So moved was I by the profound truths WLLG sets out that I added my own views on the dreaded keynote speech. Being of a sustainable bent I thought I’d recycle those doodles here. They’re written from the perspective of local government in particular but apply to most conferences marketed to the public sector. The best keynotes are by ministers (of the crown not religion) and have a number of characteristics. Despite implications by the organisers in pre-event publicity, nothing new or unknown is said. How could it when they’d be smacked hard on the wrist in the Commons if they announced anything significant outside Parliament first? Why would they when confronted by an audience of dozy public officials and councillors (dozy because of what they’re enduring at the event – I cast no general aspersions). The second best keynotes are when the advertised minister can’t make it and a civil servant delivers the script on their behalf, making it clear by their even more wooden delivery, lack of deviation from said script and unwillingness to take questions that they are gritting their teeth for a slightly distasteful and political act of supreme self-sacrifice. Does anyone know of a better generic conference keynote contributor than a minister of the crown? PS For a complete antidote try an unconference. Last July’s ScotGovCamp was a good example. 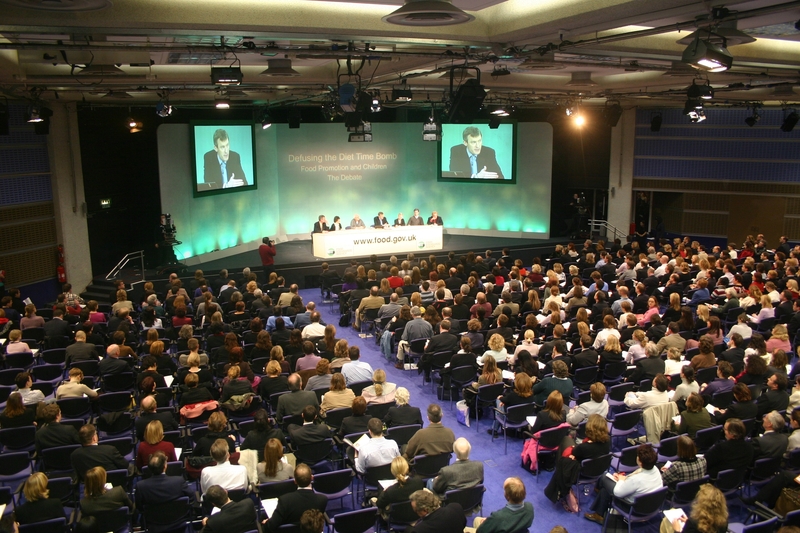 PPS Little known facts – the QEII Conference Centre, pictured above, turns out to be an executive agency of the Department for Communities and Local Government. I’ll bet you didn’t know that. A case for Pickles-isation?